Victoria Oil & Gas (LON:VOG) was the sector's biggest riser in late trading after announcing that Gaz du Cameroun, the company's Cameroon gas producing and distributing subsidiary, had spudded development wells La-107 and La-108 in the Logbaba Gas Field. The wells are being drilled by Savannah Oil Services Cameroon S.A. (Savannah) using the Komako 1 drilling rig. The budget total for the two well programme, without the exploration tail, is approximately $40m, which is expected to be funded by revenue and partner contributions. Sound Energy (LON:SOU)  has provided an following update in relation to TE-7, its second well at the Tendrara licence area, onshore Eastern Morocco. As announced by the Company on 7 October 2016, the Company's second Tendrara well (TE-7) was drilled to a total measured depth of 3,459 metres corresponding to a vertical depth of 2,611 metres. The well has a total contact length through the TAGI reservoir of some 837 metres, including a 700 metres sub-horizontal section. The Company has now completed TE-7 and performed an initial, unstimulated, open hole well test of the first 28% of the gross reservoir interval. After 24 hours of continuous flow with a 32/64 choke, a rate of 8.8 MMscf/d was achieved with strong pressure build up post test. The rate is significantly better than the Company's estimates. The Company will now complete the planned mechanical stimulation and well test of the entire sub-horizonal section. The post stimulation flow rate results are expected mid November 2016. Thereafter the Company will initiate the planned Extended Well Test to confirm production sustainability and to aid comprehensive field development planning. 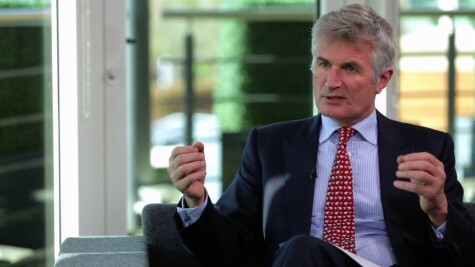 Xcite Energy (LON:XEL)  announces that Stephen Kew has resigned as non-executive Director of the Company, with immediate effect. Volga Gas (LON:VGAS) said in October its average production totalled 7494 boepd, comprising 28.7 mmcfd of gas, 1581 of gas and 1132 of oil. The sector's biggest faller was Lansdowne Oil & Gas (LON:LOGP) -down by more than 8.1% in late trading.